First African American female from the tri-county in South Carolina to receive a Doctor of Medical Dentistry degree (1984). 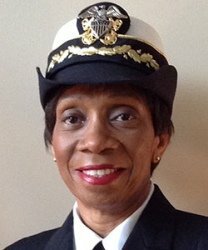 She joined the United States Navy (May 1984), and became the first African American female Dentist assigned to the Marien Corps Recruit Depot on Parris Island, South Carolina (July 1984) and Officer in Charge at Camp Johnson Dental Clinic, Marine Corps Base Camp, Lejeune, NC (1999 - 2002). She became Senior Dental Officer at the Branch Health Clinic at Joint Base, Charleston, SC (2010 - 2014).